Please note that the content of this book primarily consists of articles available from Wikipedia or other free sources online. Ernst Wagner was born on 14 August 1876, at Hildburghausen. He first studied medicine and physics at the Universities of Würzburg, Berlin, and Munich, obtaining his doctorate under Wilhelm Röntgen in 1903. He became Privatdozent in spring 1909 and extraordinary professor in 1915 at the University of Munich. 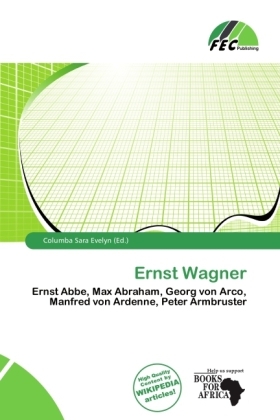 Wagner was notable for his work on X-rays and on the absolute measurement of high pressure.